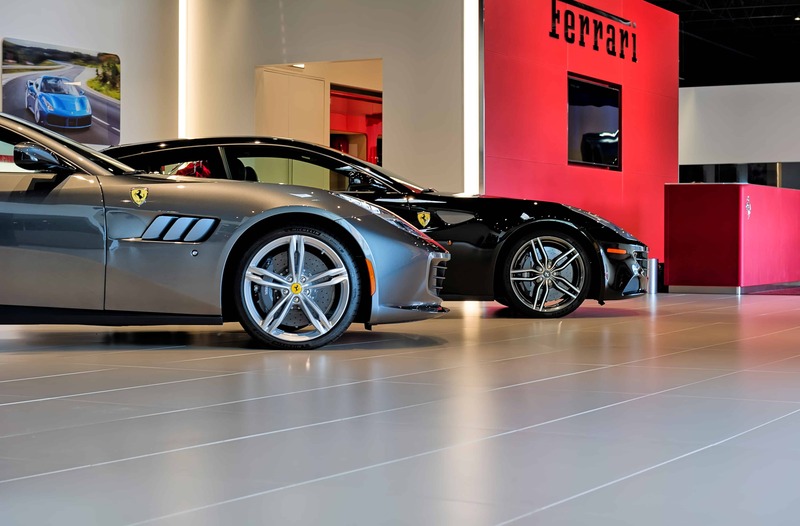 Ferrari has a look and feel distinct to its brand. 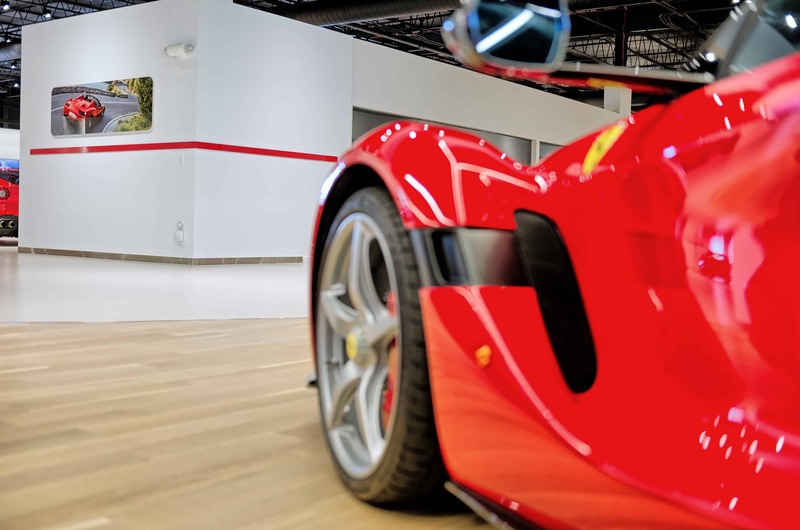 That Ferrari red — it’s absolutely iconic. 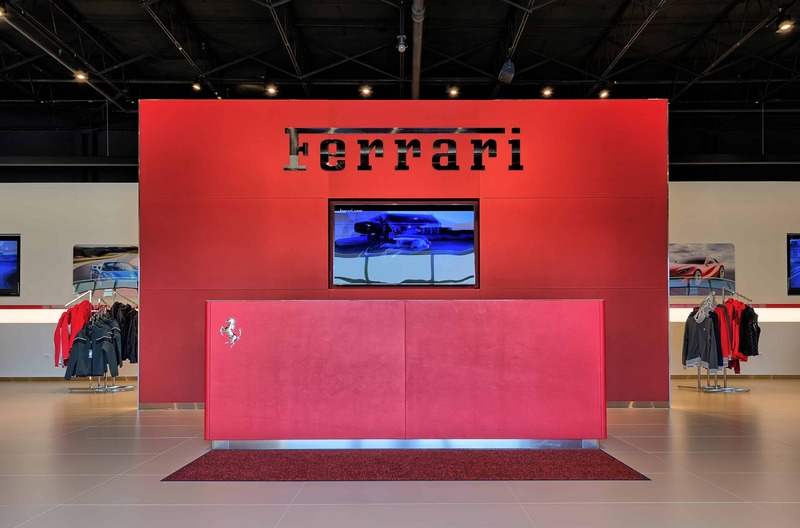 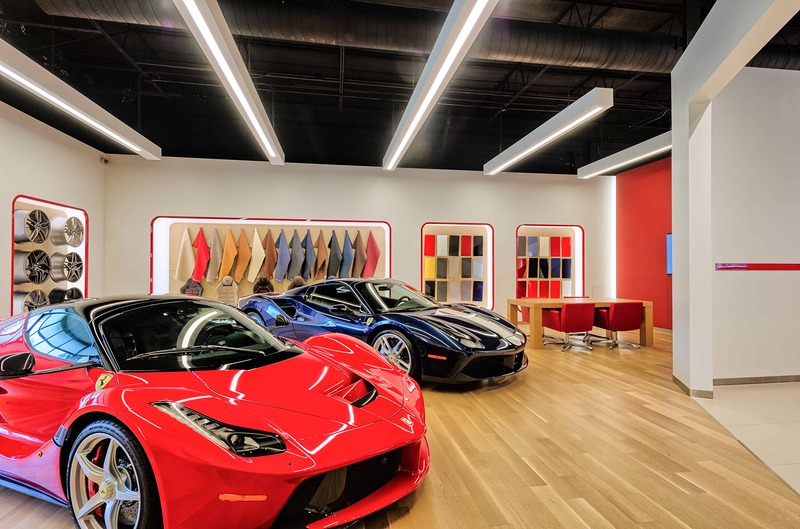 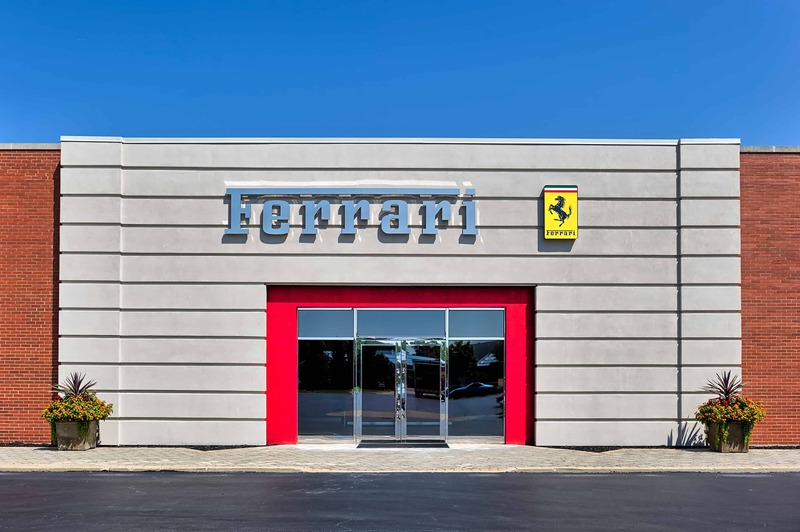 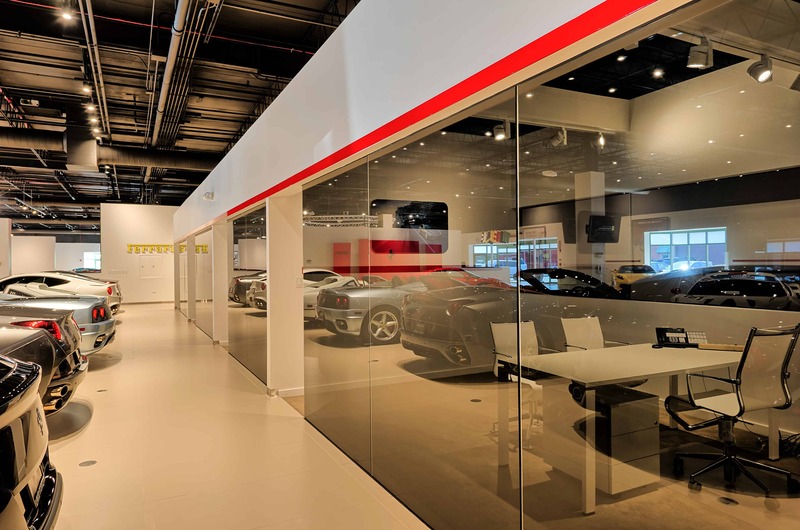 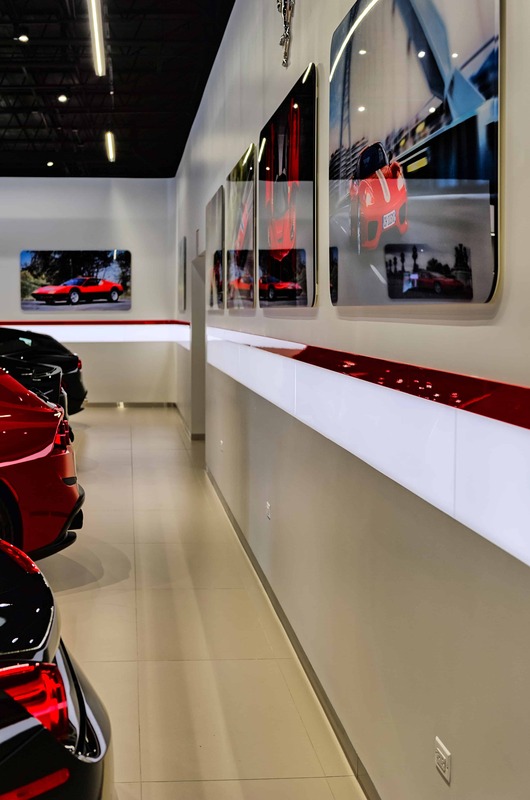 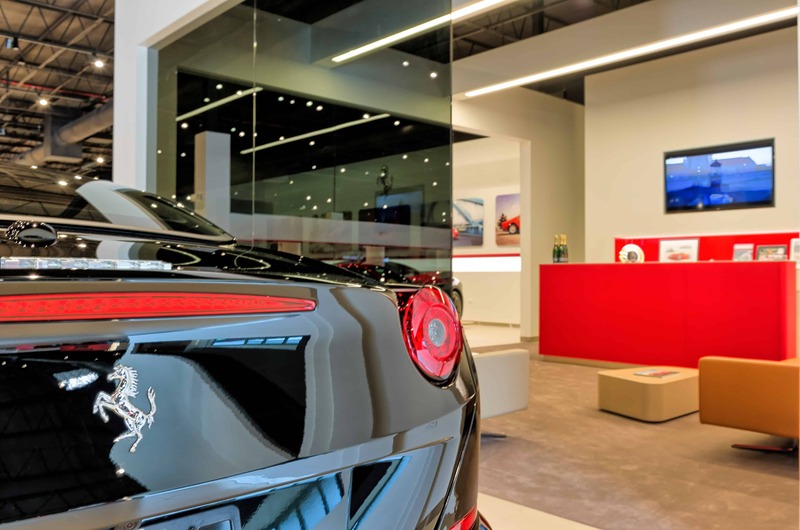 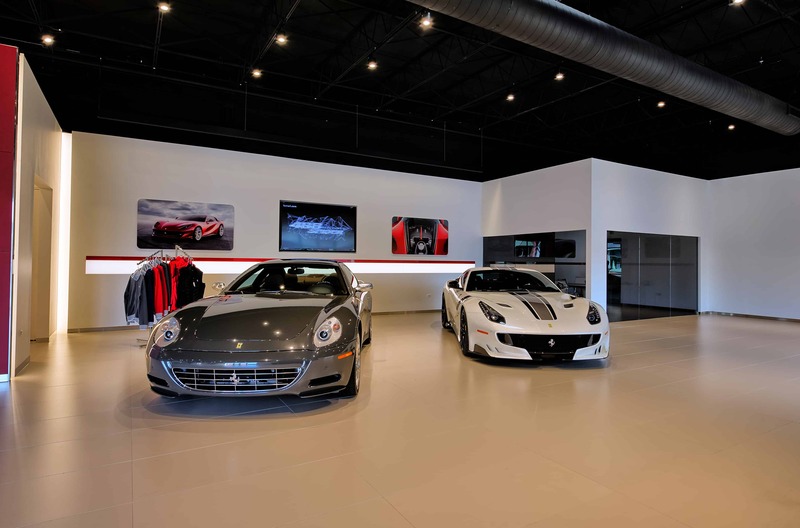 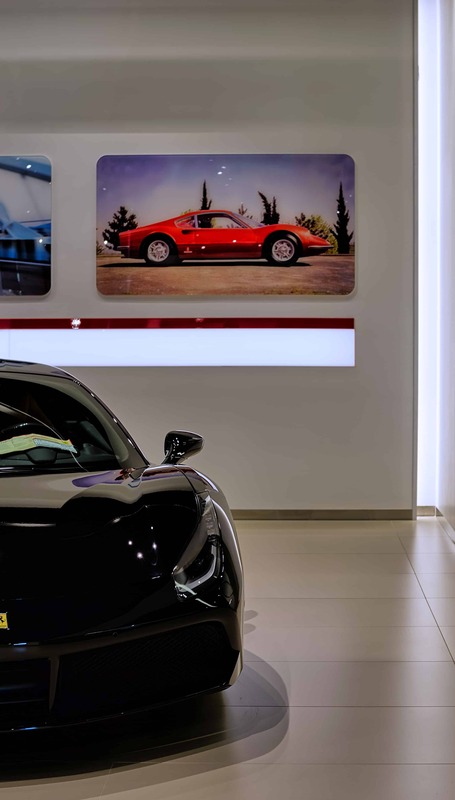 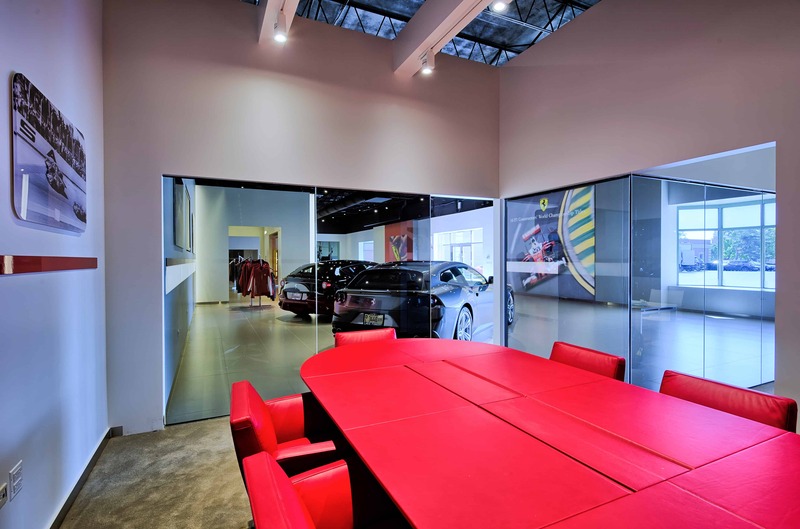 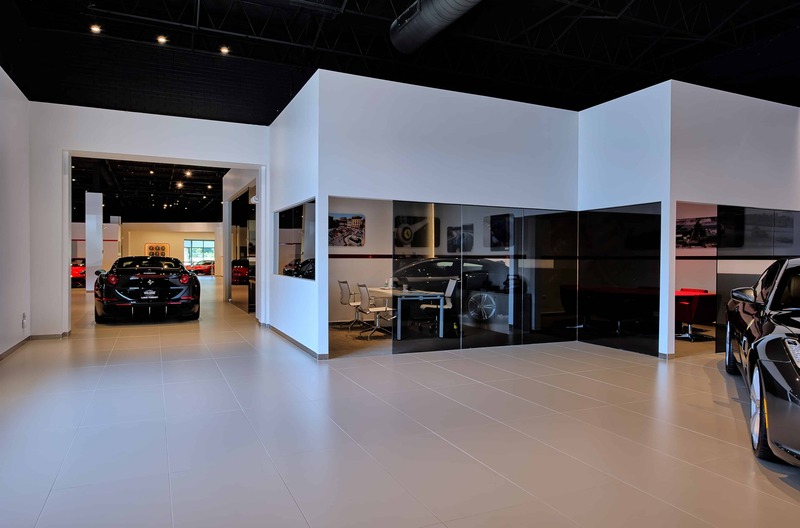 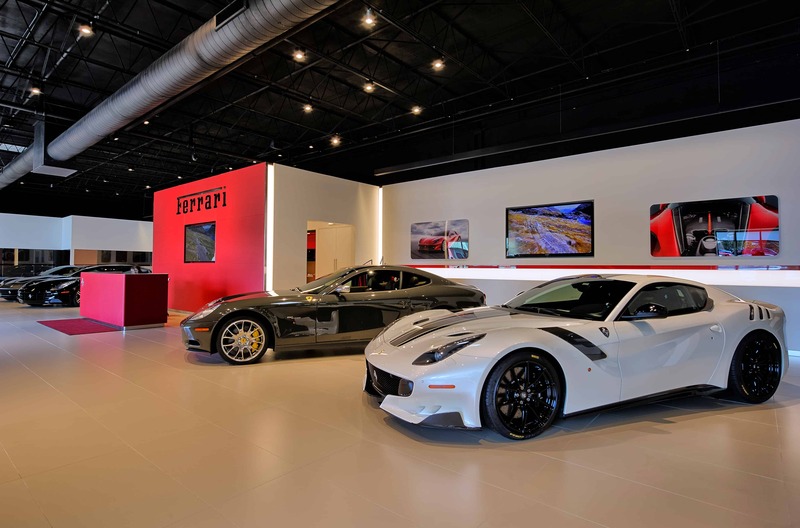 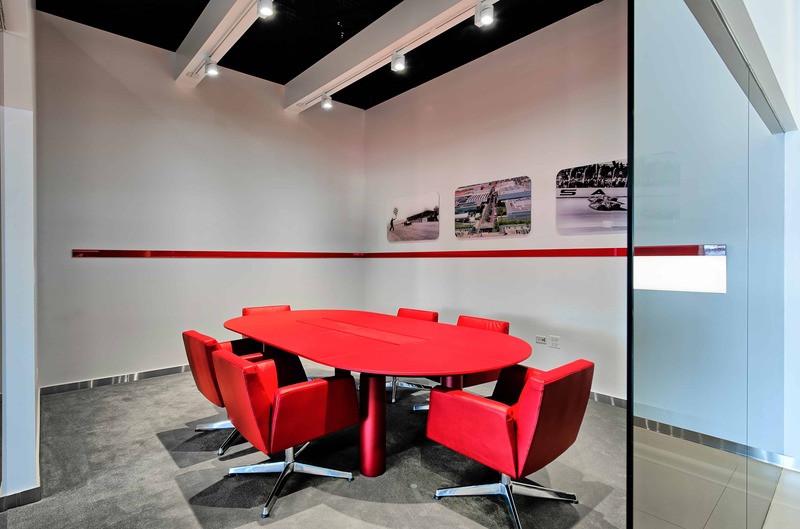 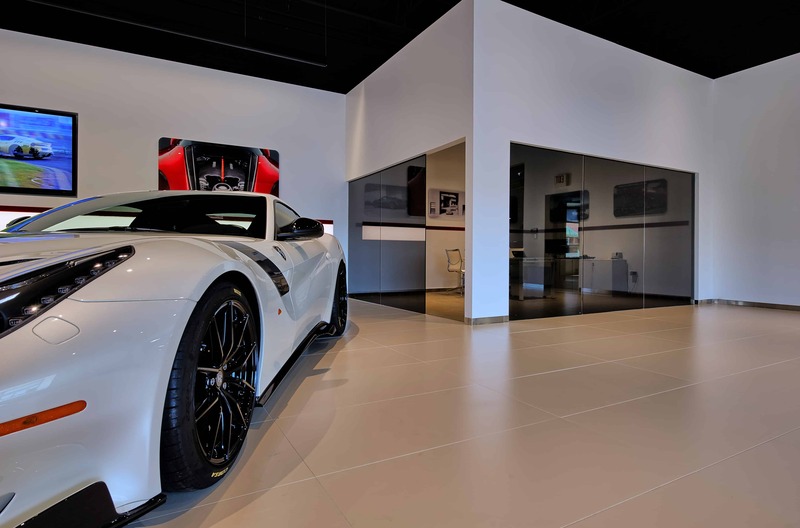 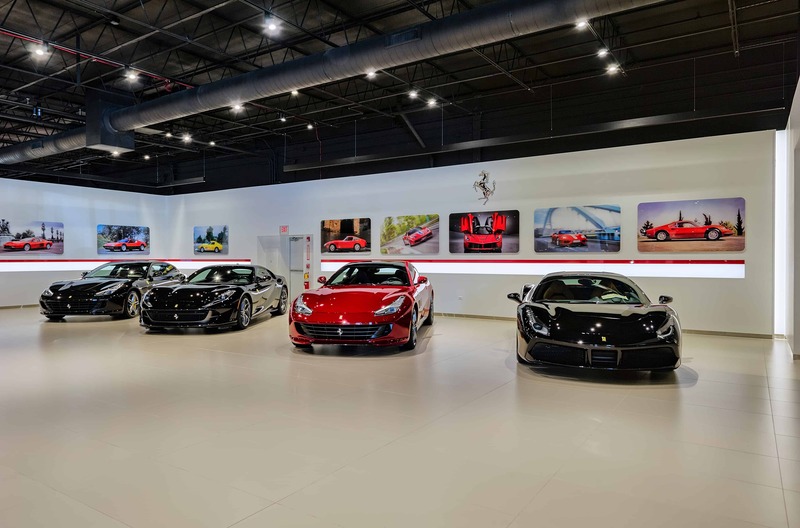 So when Ferrari Lake Forest was ready to make manufacturer-required updates to its showroom, they needed to turn to a team that paid as much attention to detail as the architects at Ferrari. 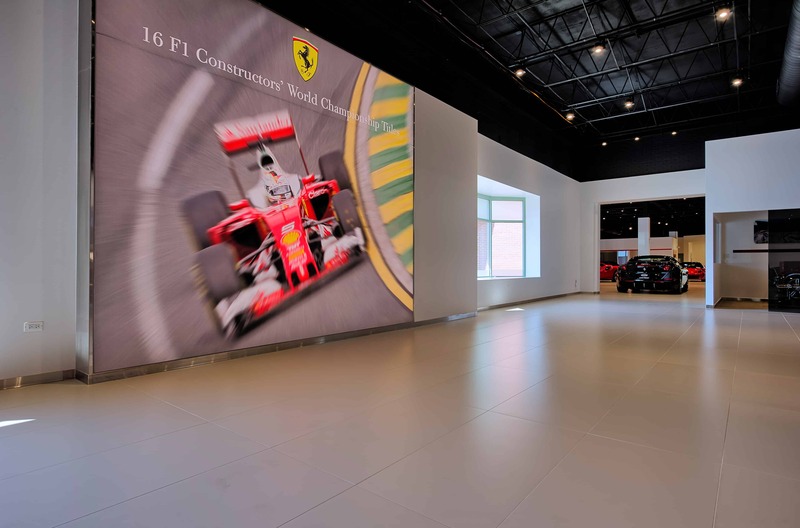 They chose Xced to be that renovation partner. 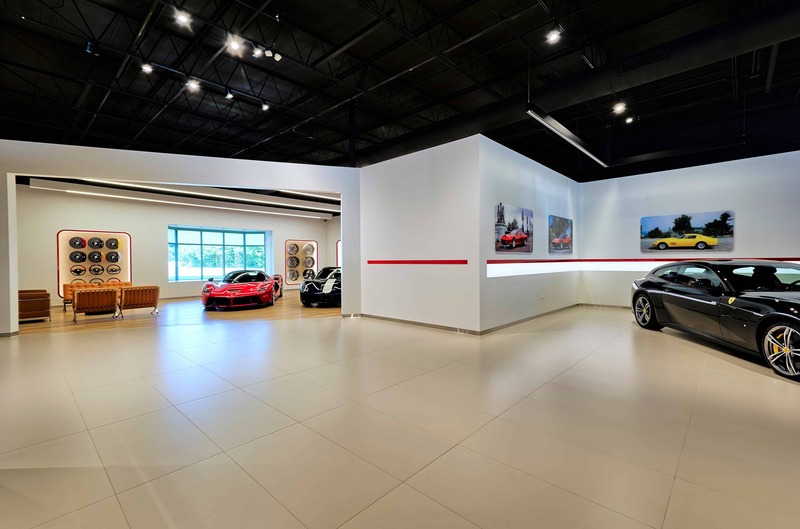 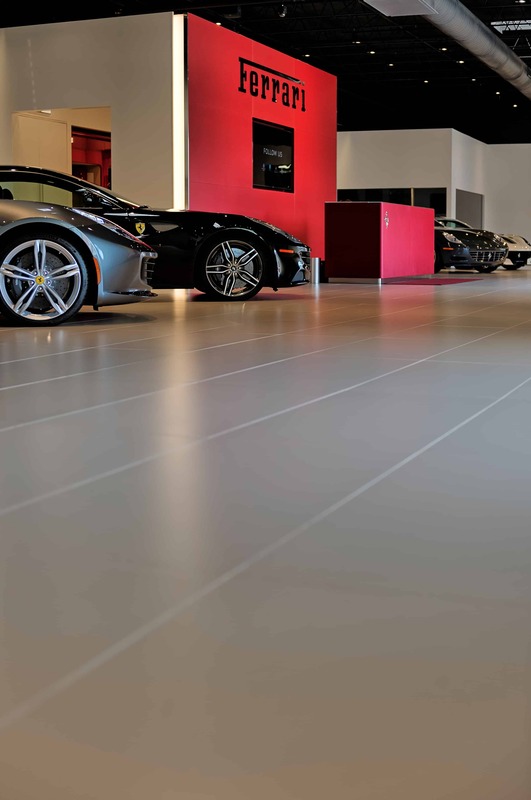 Working within a tight four-month window to renovate one of the largest high-performance auto dealerships in the country, our team efficiently delivered on Ferrari’s precise architectural standards. 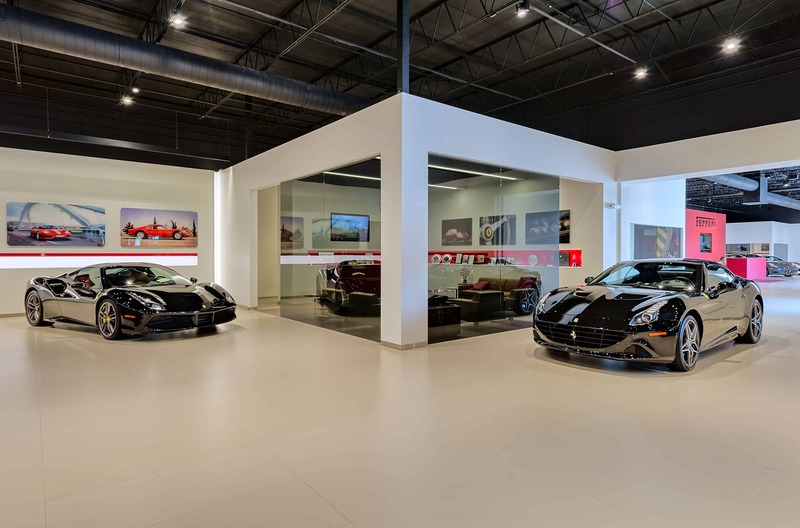 We spearheaded a 16,000 square foot renovation of this 70,000 square foot dealership, with a vision for delivering a best-in-class showroom. 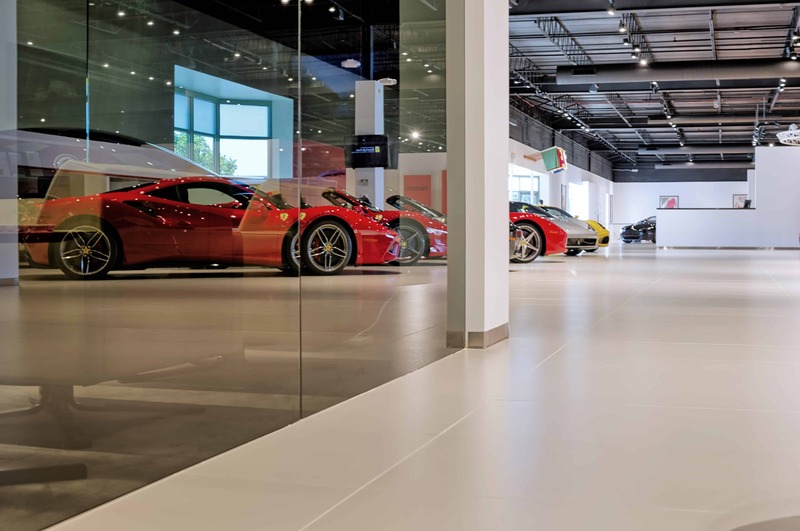 Coordinating across multiple trades, the artful porcelain tile floors throughout, lay an impeccable foundation for the entire showroom. 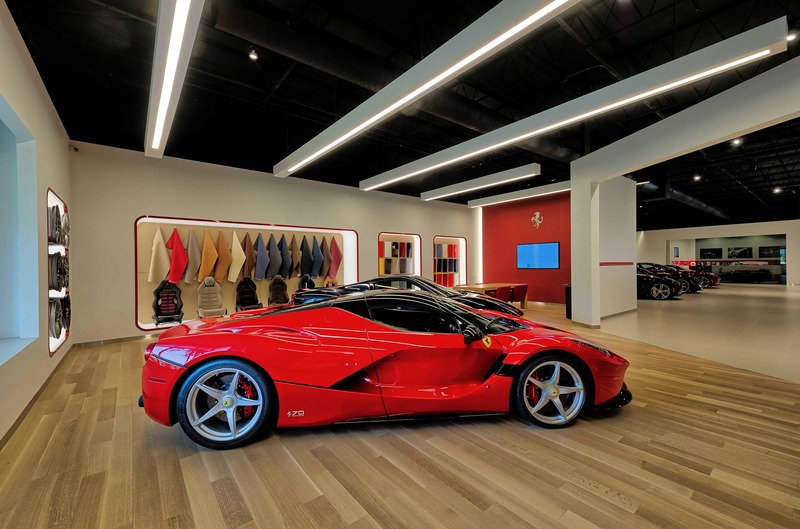 Stunning Ferrari-red glass inserts in walls and sleek vertical light coves transform the space. 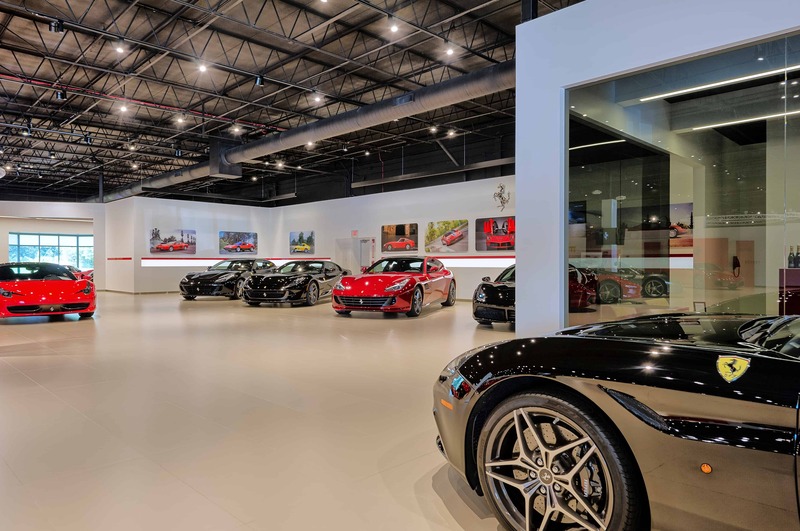 And an updated main entrance with distinct chrome-trimmed glass doors offer the perfect invitation to this sports car oasis. 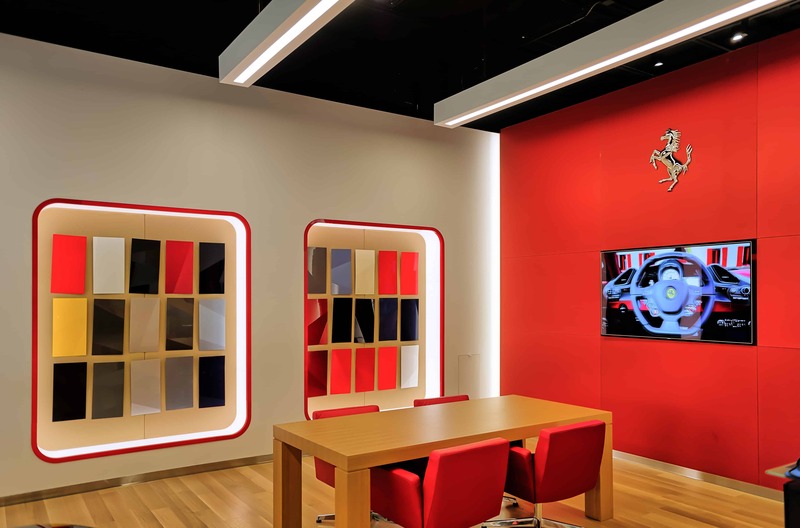 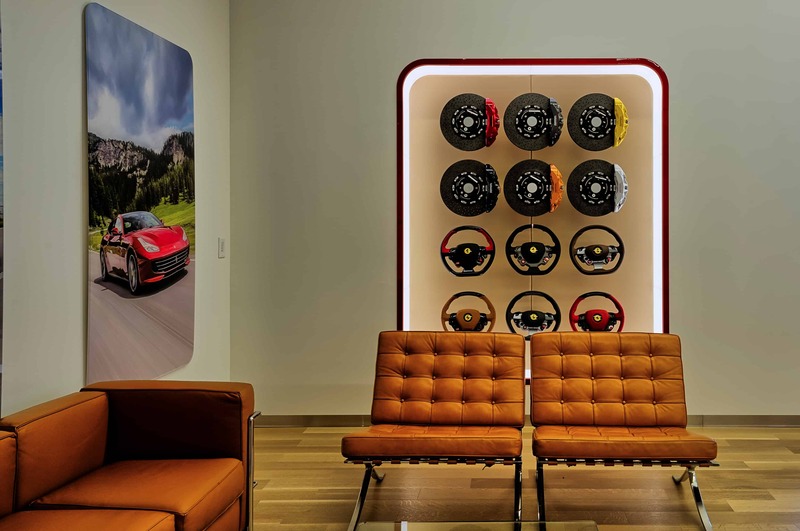 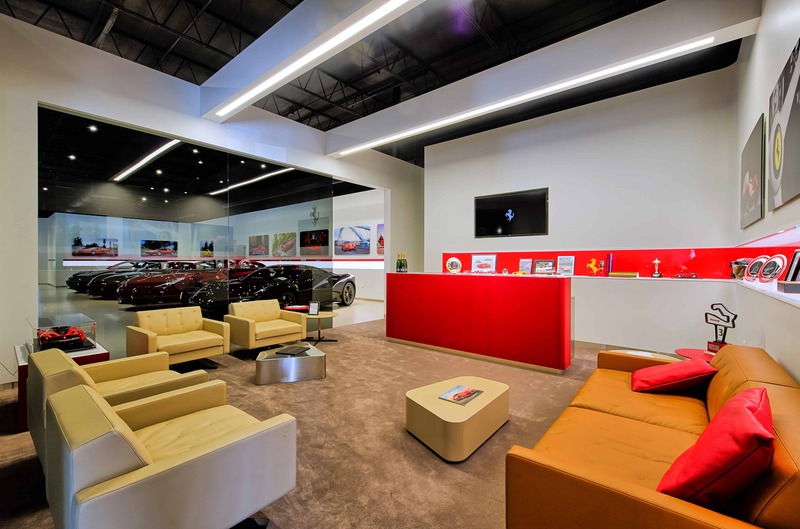 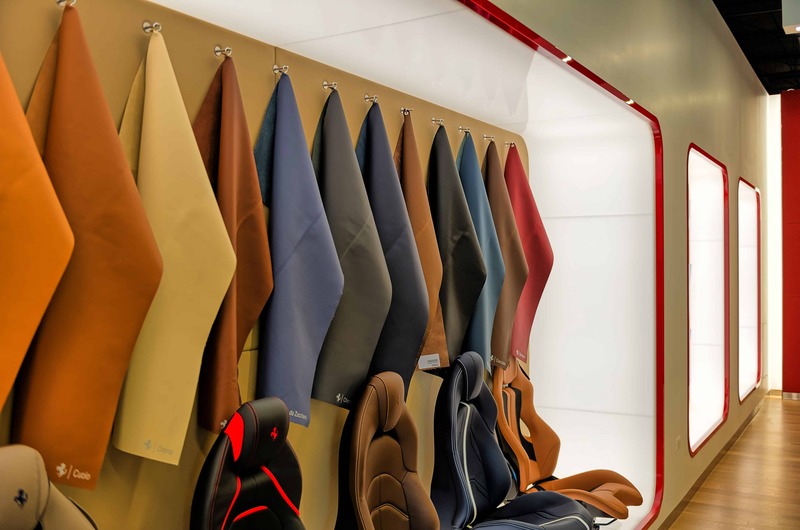 An all-new Ferrari lounge and a modern configuration room where customers can stylize their Ferrari in comfort and class caps off what is a state-of-the-art dealership. 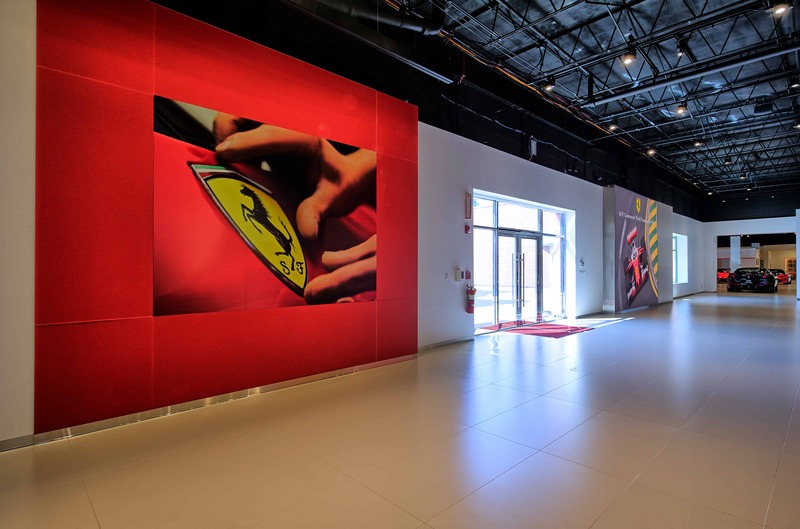 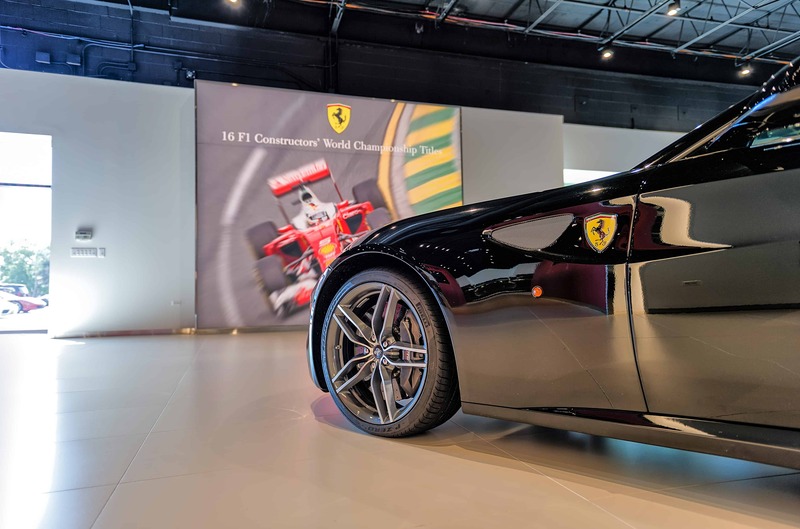 We worked closely with the architect and design team to ensure Ferrari’s vision was realized here. 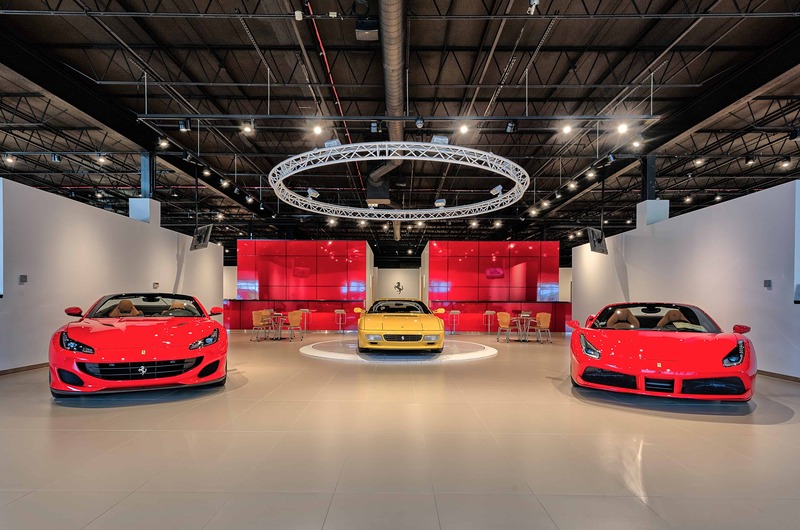 Ferrari Lake Forest’s success lays in the DNA of its vehicles, the quality of its facility and the people behind it. 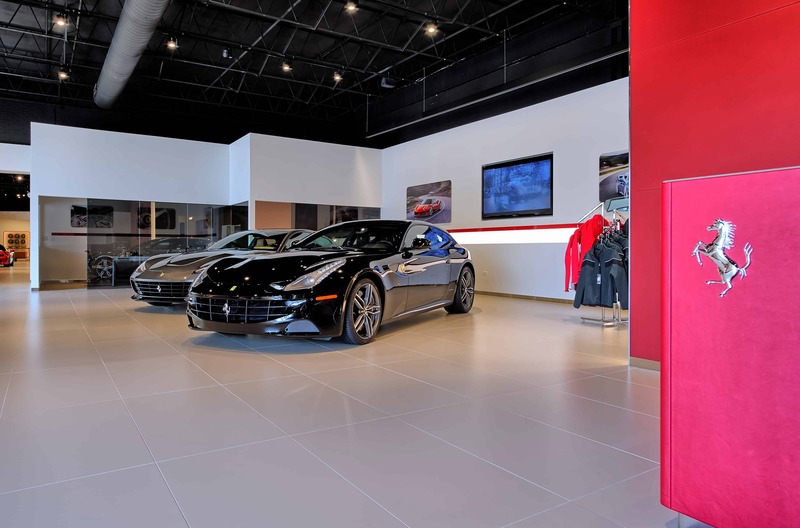 Not only did we have a chance to bring a new level of excellence to the look and feel of this Ferrari dealership; we had an opportunity to partner with people who are as equally passionate about their business as we are ours.